Off-page SEO Explained - What is Off-page SEO? 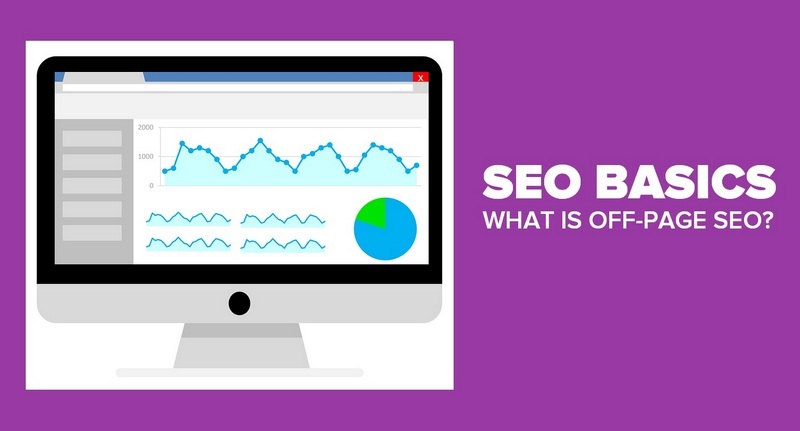 SEO BASICS – WHAT IS OFF-PAGE SEO? SEO can really be split into 2 main areas. We have On-page SEO, everything that we do on a page to optimize for Google and Off-page SEO, everything that is done outside of a site or an article to help it rank in the SERPs. On-page SEO is relatively simple because we can control everything that we do. We can implement Htags, build internal linking as we link from one related article to another, add images with keyword friendly descriptions and tags and speaking of keywords we can carefully set up and optimize for our chosen keyword phrase or phrases if you are targeting multiple keyword phrases. You are in control of how you set up for On-page SEO. Off-page SEO is a little different because there are a few elements to this side of SEO that move out of our control the big one being gaining quality backlinks. A site needs as many quality backlinks as they can get because they provide positive signals that your site is one that Google should take notice of. There are two types of links that you can acquire for your site. Nofollow links and Dofollow links. They are self-explanatory really but just in case you don’t know the difference Nofollow links instruct the search bots to ignore the link so if a site links to you with a Nofollow link there is no real benefit. No link juice is passed to your site. The only benefit is that you have the chance of a click through to your page as a result of someone reading the content and finding you in an organic way. Despite the fact that Google ignores Nofollow links they are still very important. I will explain more on this in a second. Dofollow links are links that pass on link juice, they pass on some authority to you. For this reason, they are on every site owners wish list. They are a positive signal that Google acknowledges. Do you have a natural linking profile? Dofollow links are harder to obtain because webmasters are scared of passing on their authority they, therefore, tend to be much harder to gain. Nofollow links, on the other hand, are much easier to obtain. and for this reason, Google looks for you to grow a lot more Nofollow links than Dofollow links. It would be very unusual to have more Dofollow than Nofollow links because of the difficulty in obtaining Dofollow. A linking profile with more Dofollow links may be seen as suspicious and unnatural and Google wants everything to be organic. Google wants webmasters to be rewarded for good content not for finding a way to, as Google sees it, manipulate its search algorithm. So if you think Nofollow links have no value then think again, they are very much part of a natural linking profile. Why Are Backlinks A Big Deal For Off-page SEO? As already said backlinks pass on link juice and that boosts your own in the eyes of Google. It is simple really, the more sites linking to you the more Google pays attention and passes better SERP’S results your way. What you really want are links from authority sites and news sites. If you can secure these then your own authority and TrustRank grows but these are not easy to get because authorities tend to link to authorities as a way of qualifying what they write about. As a blogger, you also need to be qualifying what you say and guess who you link to do this? Yes, the authority sites. Once you become an authority in what you do it is a win-win when it comes to gaining quality backlinks. This article is a guide to off-page SEO and so you will find that I also link to a few authorities that qualify and confirm what I am saying. It is easy for authority sites to get backlinks for the reasons stated but it is not so easy for regular bloggers to get backlinks. This is why it is crucial to make your content as good as possible and as long-form, insightful and relevant as possible. If you can answer the search users intent you will pick up backlinks and comments on your content. It sounds like a good way to fast-track your site, doesn’t it? But knowing that Google likes natural linking the answer is no. It is a very bad idea. It is seen as a very black hat SEO method. There is nothing more suspicious to Google than seeing 100 Dofollow links suddenly appear. And where do these paid for links come from? Are they even from a related niche? Again the better your content the more shares you can pick up. And of course the more followers you have the easier it is to get shares. If you can grow your audience within your social media channels then it does get a lot easier to create a buzz. The problem is the buzz doesn’t last that long. Although automation is useful, I’m not a huge fan. Saying that there are a few sites that I can recommend that will help you with automation. When I talk about social media automation I am really talking about some software or a site Tweeting or Pinning or Liking my content on my behalf. Its basically a means to save time. And time is something you need if you are running a business or you just have a hectic home life. Whenever you can free up time it is a good idea. I tend to go for a semi-automation approach for off-page optimization. Whenever you share to a social site particularly the main socials that you are active on then you need to appear as a real person rather than a robot. You need some personality in your share to engage a response from followers. Engagement is born from creating real natural shares that ask questions to gain a response. Of course, you can do this with automation but you will find you will forever be updating your message just to keep it natural. It actually becomes quicker to just go ahead and share without automation. My strategy with automation is to share on my main social channels with natural call to action type shares and then to automate those to secondary channels. The secondary channels then appear natural because they follow your real message that you share on your main channels. There is so much you can do with IFTTT an example would be when you add a new image to Instagram the same image can be tweeted on Twitter with the same message and tags. What you have to bear in mind is how the message will appear on different channels. It is accepted to add lots of tags on Instagram however on Twitter too many will make your tweet look spammy. For a full guide on how to cross-promote with Instagram and Twitter, you can check out my guide here How to cross promote with Instagram. As I mentioned earlier it is very difficult to keep the buzz going when you social share. After all, there is only so many times that you can share the same message. But what if you could leverage other social media users to Tweet, Pin, Facebook share etc for you? Does that sound like a good idea for you? It is very easy to leverage other social media users particularly on Twitter and gain tweets on accounts with potentially 100s of thousands of followers. If like me you think this sounds like a good idea then you need to head over to ViralContentBee and create a free account. There is an upgrade but you do really just need the free version. 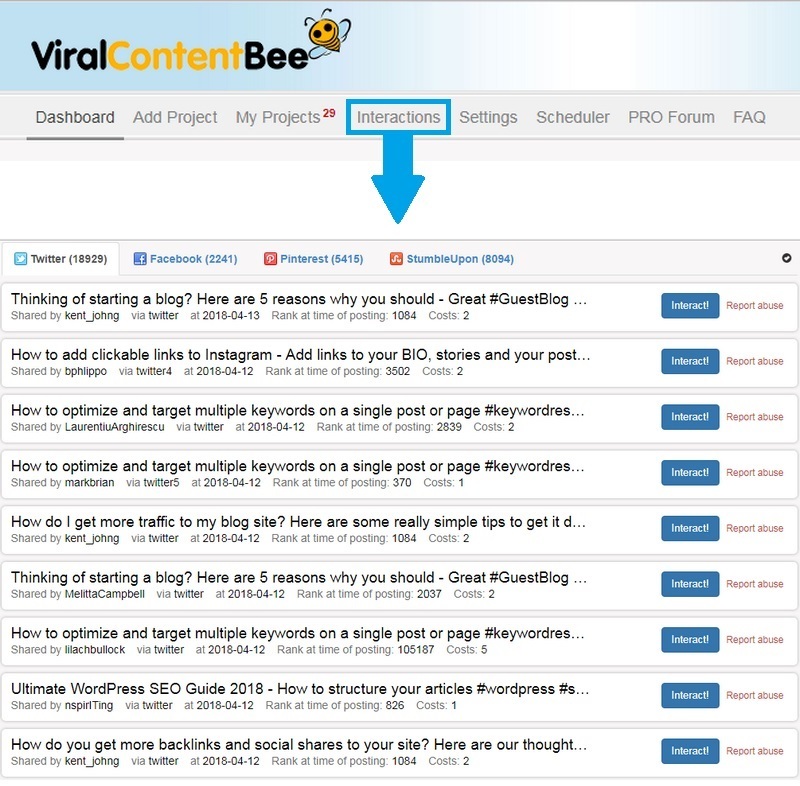 ViralContentBee is a community site that allows you to add articles that you would like shared on social media. You simply share other peoples articles for ViralContentBee credits that you can then apply to your own. It is a reciprocation kind of deal. ViralContentBee (no affiliation) is one of those sites that you must join because as long as you keep your projects active you can keep the buzz around your own content alive. There is also another overlooked feature on VCB and that is the ability to see who is interacting and engaging with your projects. You just click interactions on the VCB menu and you get a list of everyone who has Tweeted, Facebook shared, Pinned on Pinterest and Stumbled. Click Interactions on the VCB menu bar to see who has been engaging with your content. Checking out who interacts with you on ViralContentBee gives you the opportunity to build valuable relationships with bloggers in your niche. This leads to more followers and the potential of organic Dofollow links to your own content and maybe guest blogging opportunities which can prove very useful. When readers visit your pages they often have the option of commenting and having their say on the subject you have written about. This is great because it keeps the buzz around the content going and it makes the content longer and adds additional value. And yes you guessed it does help lead to better rankings as Google notices. If you want more comments on your posts then work on building relationships and comment on relevant posts. It often leads to reciprocation and it shows other niche bloggers what you are writing about as they click through to you to comment. Guest blogging is a very popular method of growing backlinks. The idea is that you write for another blogger in exchange for a link back to one of your articles. There is, however, some controversy about this as Google has gone on record to say that if you are guest blogging purely for backlinks then it is not a very good idea and can get you penalized. The reason being the links you gain are not organic and gained naturally. You basically put them there yourself. I don’t have a problem with guest blogging at all. I am also happy to contribute to other webmasters sites, providing they are the same niche or closely related. Google loves great content and great content is still great content despite there being a backlink or two within the post. Google is not going to worry too much about that. However, if you add 3,4,5 backlinks to your own content and the article is very short in length then that will be seen very differently by Google. If you are linking back to your own site more than once or twice I would recommend no following some of the links so as to get Google to discount them. Show Google that your guest blogging for the right reasons and that it is just not a part of a bigger backlinking strategy. 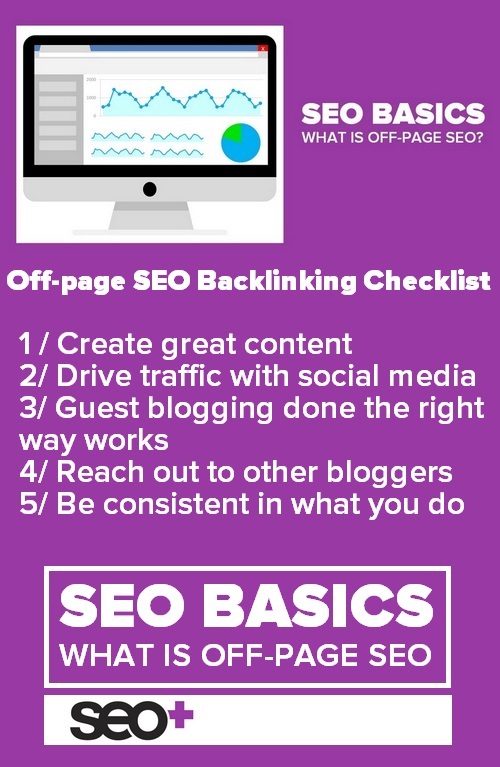 Here are some SEO Basics to boost your Off-page SEO and the backlinks to your site. If your content serves a purpose, if it answers a question then it will gain backlinks over time naturally and this is the Google way. But it is slow and you need to be patient. It is by far the best way to get pretty much instant traffic to your content while you wait for Google to decide where to place you in the SERP’s. Social sites like Twitter, StumbleUpon and Pinterest are great traffic generators. The content that you write for someone else’s blog needs to be as good if not better than you add to your own. If you have written a great article that you think would benefit the readers of someone else’s blog then drop them a message on their contact form. Maybe they will agree and link to you. Post regularly, share on social media often. Be consistent in what you do. SEO is not that hard to set up on your site but it can be time-consuming. With On-page SEO, you’re in control, when you move to Off-page SEO then it gets a little bit more difficult to get the desired results you are after. The best course of action is to just write the best content that you can. Get noticed for the right reasons. Create exposure to what you write via social media. Build relationships and trust and grow your brand awareness. Hi Dexter! Great explanation you basically summed it all up. I’ve been building links through blog commenting for a month now and I feel like they don’t have a lot of weight. I didn’t know that its makes your link profile look natural. I guess i’ll have to balance the number of nofollow links i get from blog commenting and dofollow links from guest blogging. Thanks! Blog comments are good for both the blog you comment on and for your own site as well. Commenting on someone’s blog is really about adding to the conversation. If what you say is good and credible then others click through to your site so you can gain a lot of traffic and comments on your own articles. Short comments that don’t add anything don’t really get results. If you receive comments then there are SEO benefits but you’re not going to rocket. 4/ Link juice, if comment links are dofollow. I would not chase dofollow links in comments for every 1 dofollow from commenting I will make 10 that are nofollow so that Google can see im commenting to engage rather than commenting for SEO reasons. i have an suggestion plz write an article on “lead generation with SEO” . SEO is very difficult for capture pages and funnels etc unless you have them on a good blog site. Great info on this post. Good explaination of On page SEO and Off page SEO. Also Do-follow and No-follow links. Very clear about what they mean. Also saved the link to your how to cross promote using instagram and off-page-seo-seo-basics.